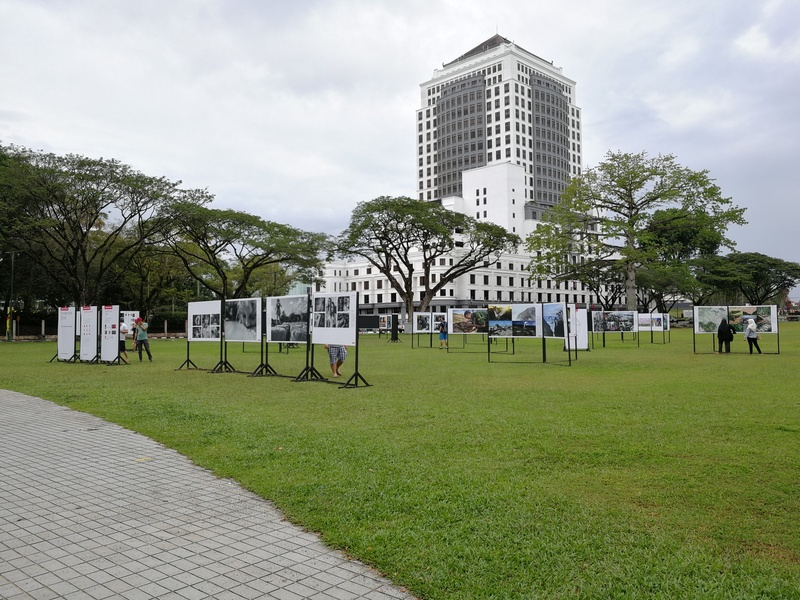 I covered another event during WAK 2018 and this time I found myself trudging along the wet field of Padang Merdeka on a cool Saturday morning. 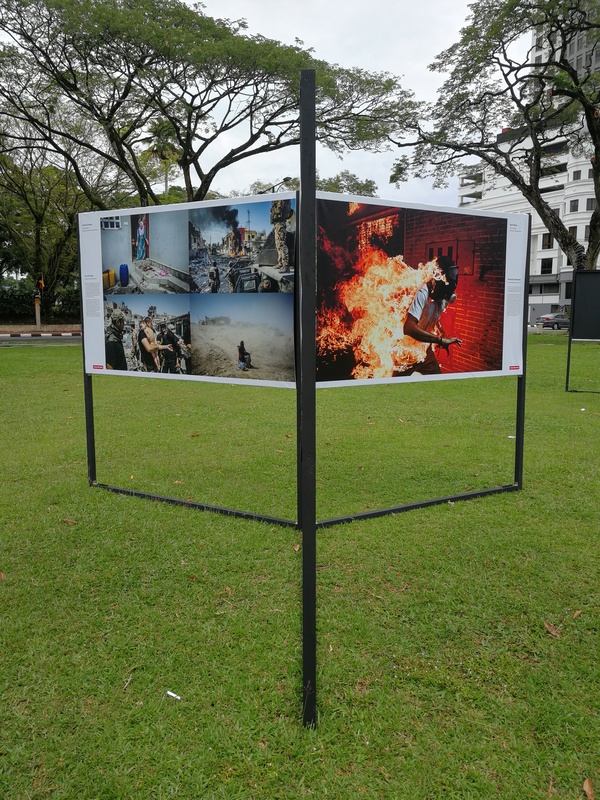 World Press Photo is an international photography contest that was started in 1955 by a group of Dutch photographers. Since then it has grown into a prestigious competition. The photos selected are essentially visual stories that highlight almost everything you can think of - humanity, environment, contemporary issues and so on. 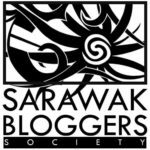 This year Kuching is hosting the prestigious event for the first time. It is actually an open air exhibition and open to the general public without any fees. 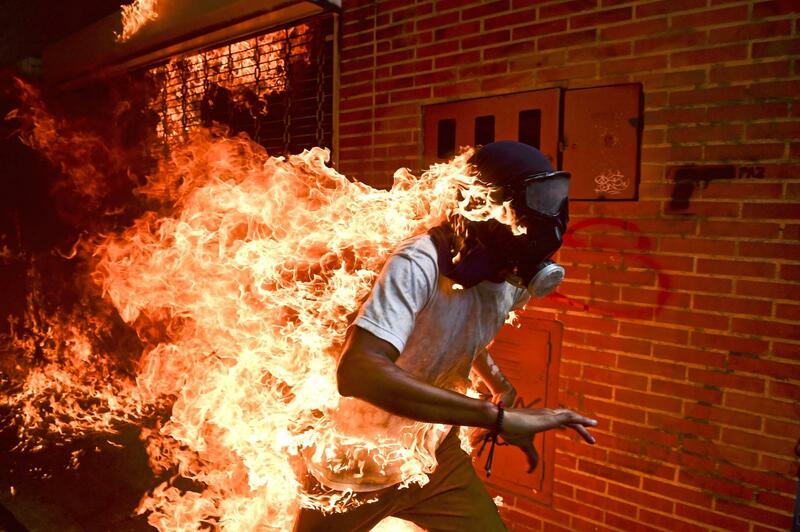 This year's Photo of the Year was won by Ronaldo Schemidt who took this moving imagery of a protester on fire. José Víctor Salazar Balza was set alight when the gas tank of a motorbike exploded. He survived the incident with first- and second-degree burns. Click here for more info. It's definitely an interesting event not to be missed especially if you are an aspiring photographer. The photos really do make you pause and think about the stories and the message the photographer was trying to get across. Some of the photos are quite explicit though, but I am sure Kuchingites are more than mature enough to contemplate the issues and messages instead of taking offence. Do check out the event until 28th October 2018 at Padang Merdeka. You can also read news article about it on Borneo Post.